Everton are set to complete the signing of Theo Walcott from Arsenal on Wednesday after completing his medical examination at the club’s training ground in a deal that could rise to £25 million. Despite interest from from former club Southampton, West Ham and Bournemouth, the winger opted to sign for the Toffees. Having failed to start a single game in the Premier League so far this term and has been mainly used in cup games such as the Europa League and League Cup at the Emirates, the English attacker decided to move to the Goodison Park in an attempt to get more playing time under his belt. 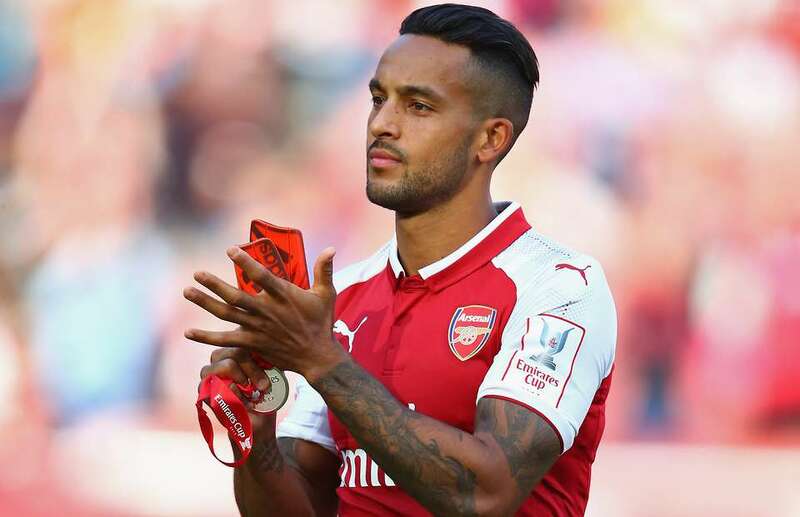 However, with the World Cup on the horizon, Theo Walcott is keen on forcing his way into Gareth Southgate’s plan ahead of this summer World Cup in Russia. It is believed the winger is set to earn wages in the excess of £110,000 per-week at the Goodison Park and he could be in line to make his debut on Saturday when the Toffees host WestBrom in the Premier League. Everton manager Sam Allardyce who has steadied the Toffees sinking ship since taking over the reins from former manager Ronald Koeman is keen on adding pace to his stuttering attack and wants the trio of The Walcott, Cenk Tosun and Yannick Bolasie to lead the Toffees attack. Ronald Koeman’s failure to replace Romelu Lukaku who joined Manchester United in the summer for a record fee of £75 million seems to have been his Achilles heel at the Goodison Park, but Allardyce learning from his predecessor’s mistake by bringing in Cenk Tosun and Walcott will aid the Toffees goalscoring problem as they target a top-ten finish. The 28-year- old has played a total of 397 games for the Gunners across all competitions scoring 108 goals. Walcott is an inside forward and he is known for his blistering pace, dribbling, crossing, trickery, creativity, versatility, finishing, vision, link-up play and positioning.